You guys know our online bud Dave Smith who has created all of these amazing videos for us and is a professional weight-loss coach who was chosen as Canada’s Top Fitness Professional in 2013? Well, he’s back with a new series for us with videos on how to de-stress all day long! In today’s video, he shares three moves that’ll make you smile and totally beat stress (see his last video here). Enjoy more of Dave’s free home workouts and learn more about his weight-loss programs at makeyourbodywork.com. Stress isn’t fun. Smiling is. 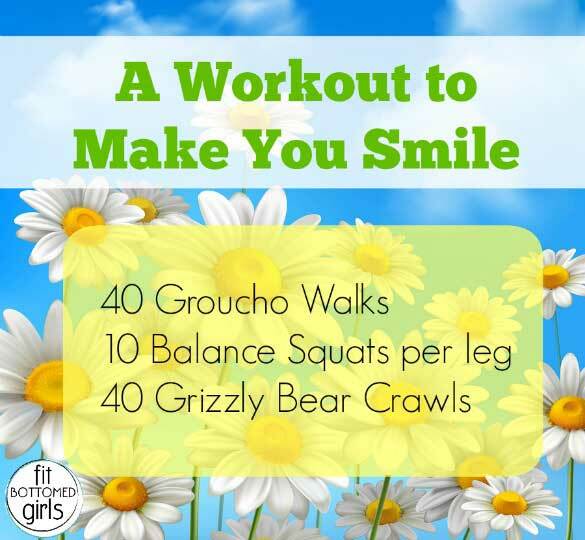 So, here’s a workout to make you smile when you’re feeling stressed! And here’s a handy dandy graphic you can save, share and print, so that you can take this workout and have it on hand whenever and wherever stress hits! Haha! 🙂 Make them join you!